The Lady Eagles hosted the Scots for girls varsity lacrosse last Thursday evening. This is Coach Matt Perkins second year coaching the girls varsity team and with several returning players the team is set up to have a great season. The defense was outstanding the first half of the game for the Eagles, not allowing Bonny Eagle close to their goal. Windham’s offense kept the ball on the Scots end of the field most of the first half. Jenna Soucy, Hannah Skavorak, Holly Spencer and Luisa Sbardella’s combination of goals led the game in points in the first five minutes of the game. Senior Luisa Sbardella led the team with four goals. Goalie Erin Malloy did a great job defending the goal for the Lady Eagles in the second half of the game. Though some of the balls passed by she stepped up and worked alongside her defensive line to protect the net. The second half of the game the Scots were able to step up and put some points on the board with Carly Biegel contributing four goals and Brady Autumn adding three; however, it wasn’t enough in the end with Windham scoring 12 and Bonny Eagle 10. Along with a new varsity softball coach – Travis Demmons, the Lady Eagles captains Maddie Elliott and Anita Mooradian are successfully bonding a team on and off the field and working together to make the season record 5-0 to date. Along with the return of sophomore Danielle Tardiff who is back from an injury that stopped her from playing last season, the ladies are off to a great start. The last three games are a clear indication of what this team has to make it a memorable season. An ace performance by Danielle Tardiff led the Eagles to a 5-1 win in seven innings over McAuley High School last Wednesday. The Windham Lady Eagles got nine strikeouts from Tardiff. She allowed no earned runs on four hits and no walks over the seven innings. Olivia Mora racked up three RBIs on three hits. Mora singled in the first inning, homered in the third inning, and doubled in the fifth inning. In the bottom of the third, the Lady Eagles grabbed the early lead, 1-0. A solo home run by Mora started the inning off. A. Chase from McAuley was charged with the game loss. She lasted just four innings, walked two batters, struck out seven, and allowed two runs to make it home. In the fifth inning, McAuley pushed across its only run of the day on an RBI single by Z. Li. The Lady Eagles clinched the game for good in the fifth, scoring four runs on two doubles and an RBI single by Tardiff. The Windham Lady Eagles get seven strikeouts from Danielle Tardiff lifting the team to a win 2-0 over Marshwood High School in seven innings. Tardiff tossed a shutout. The Lady Eagles' Tardiff kept Marshwood off the scoreboard for all seven innings while she was on the rubber. She pitched a shutout, allowing no runs on two hits while striking out seven batters. E. Robida from Marshwood couldn't get it done in the circle for her team, taking a loss. She lasted six innings, walked three batters, struck out seven, and allowed two runs. Scoreboard operators were busy at Cheverus on Monday as the Windham Lady Eagles and Cheverus combined for 28 runs. The Lady Eagles eventually won the offensive battle 20-8 in seven innings. Hitters on both sides were strong at the plate as the teams combined for 24 hits, including six extra base hits. Nine runs in the opening three innings allowed the Eagles to easily put away Cheverus. An RBI double by Sadie Nelson and a two-run single by Danielle Tardiff during the first inning and an error, then another error by Cheverus, and an RBI double by Nelson in the second inning fueled the Eagles' offense early. Tardiff racked up four RBIs on four hits for the Eagles. Tardiff also recorded the win. Tardiff struck out nine batters, walked six and gave up five hits. The Windham Lady Eagles easily handled Cheverus’ pitching as seven hitters combined for 16 hits, 16 RBIs and 14 runs scored. The Eagles added three more runs in the top of the third. Lauren Talbot started the inning with a single, plating Alex Morang. Then the Ladies piled on five more runs in the top of the fourth. The inning looked promising, as Tardiff doubled, scoring Christina Mooradianto to kick things off. That was followed up by Anita Mooradian's single, bringing home Morang. 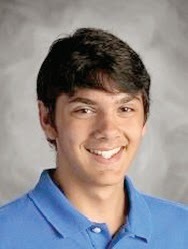 The Windham Eagle athlete of the week is Jacob Dionne, a junior at Windham High School who plays lacrosse. “Jacob has worked hard this spring to help conduct a strong defense. He played remarkably well in saving high/low shots and initiated fast breaks which we scored upon in our season opener versus Portland during April break. His dedication and work on the lacrosse field is a reflection of his work and efforts in the classroom,” said head coach Peter Small. The Windham High School boys’ varsity baseball team played their first game of the season Tuesday night against the Portland Bulldogs with the support of the home crowd. The night’s cool temperature, slight winds and mild drizzle didn’t keep the fans from lining the fence to watch their Eagles play ball. “We felt confident going into the game because of the success we have had in the past four years against Portland. Plus, with Laberge on the mound, we feel we can compete with anyone,” said coach Brody Artes. However, the Eagles had some miscue’s early on as a result of the pressure that Portland’s base-runners put on them. “Without making excuses, it was a lot of first game of the year mistakes, alongside of having inexperience on our side with only three starters returning from last year’s squad,” said Artes. The Bulldogs took the lead with a double and then scored on a wild pitch, and finally scored off a double to left field in the next inning. Windham scored twice in the third on RBI singles by Tanner Laberge and Zach Alpern making the score 3-2 going into the fourth. Both teams lost a lot of experienced players after last season. Windham returns three starters from last year with Laberge, Josh Dugas and Alpern. Coach Artes stated, “We are a work in progress.” Both teams had their chance for more runs. Portland left seven men on base and Windham left nine. The Bulldogs would score again and win the game 4-2. Even though the Eagles lost, Coach Artes said, “The team is in a good spot. We have talked a lot this year about handling and dealing with adversity on and off the baseball field. It’s a short season and we can’t dwell on any one loss.” The Eagles have two more games in the next few days. “We need to pick ourselves up, learn from our mistakes, and move on. The boys did some good things today, but they also have some things that they need to tighten up on as well,” he added. Windham’s next game is against Marshwood on Thursday. Watch for Marshwood to consider this a revenge game for them. “As Western Maine Champs a year ago, everyone is out to beat us, especially them whom we beat in the regional finals last year. We just need to play our game and be better as each day progresses,” said Artes. It all began with Treva Valliere bringing home a flyer from school. Never participating in this type of wrestling before; Treva’s mother decided to sign both Treva and his brother, Colby, up for the sport. Treva, an eighth grader at Windham Middle School has reached goals he never dreamed of in the sport of wrestling. Amber, Treva’s mother, stated, “Treva had a lot of energy when he was little so wrestling has taught him a lot of discipline and a lot of self-control.” Treva has been wrestling now for eight years; he started when he was in second grade with Kratos, coached by Thom Johnson and George Lekousi. Treva really enjoys watching college wrestling and has met Logan Stieber from Ohio State who is a four-time NCAA Champion. This was an extremely exciting moment he will always remember. The Valliere family has been going to the New England Qualifier for about five or six years now. The very first time they went Treva placed second. This year was different for him though. Treva has put a lot of time and energy into his training. He has taken all practices very seriously. It has been hard for Treva to wrestle kids his own age because he is so much bigger than most of them, so a lot of the time he has wrestled his two coaches Nate Johnson and Jason Dryburgh. Treva also has the support of his older brother Colby who has practiced with him along with some other kids from high school who have taken time out of their schedules to help him. As his parents, Amber said, “we have always told him leave it all on the mat while he’s out there.” And this year, Treva did just that, every time he stepped onto the mat. Treva has been lifting every night with his dad and brother in preparation for this tournament. He really proved to himself that hard work pays off in the end. Treva ended up winning first place in the New England Qualifier and had the chance to move on to compete in the Nationals in Ohio which was hosted on April 18th. This was a huge opportunity for Treva to compete against others that are just as serious about wrestling as he is. He had to maintain his weight of 171 pounds. Treva could not go below or above by even an ounce for his weight division, that was a challenge in itself. Treva continued to lift with his dad and brother and the coaches were wonderful in helping him prepare for this tournament. 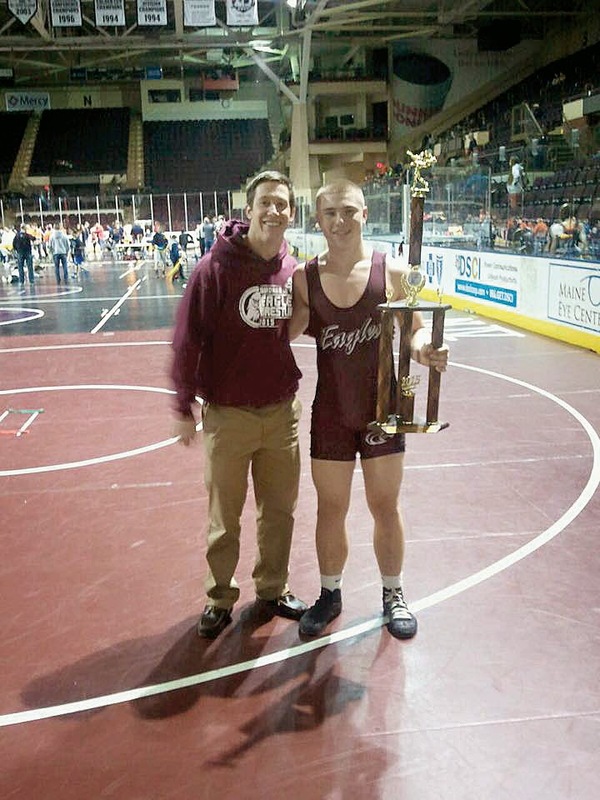 The coaches set up special practices for him, and with their help and the help of the high school wrestlers he really was able to concentrate on making himself the best that he could be. As the time drew closer to the event, Treva’s excitement also grew. Amber stated, “ We drove down as a family so we were in the car for about 15 hours straight. Treva used that time to clear his mind and prepare himself for what was going to happen.” Treva puts himself in competition mode by listening to music. When the Valliere family arrived at the Nationals, they couldn’t believe their eyes, the place was huge. They had about forty mats going all at once. Treva was able to meet some of the other kids he was about to face on the mat because they all had to stay together to wait for their turns. Unfortunately, Treva lost his first match by only points. He was understandably upset but he cleared his mind and got ready for his next match. He did exactly what he told himself he was going to do; leave it all on the mat again. Again, Treva unfortunately lost that one as well by points. Overall, Treva did very well and though he may not have won the competitions in Ohio, he won a place in the hearts of his community. “His dad and I are very proud of him. He is looking forward to next year and hopefully being able to compete again in Nationals. He has already started talking about his training for it. He is a great kid with a lot of talent and he is going places. I can't wait to watch him grow and become the best student athlete that he can be,” Amber said.